Few cars embody the 1970s like the Gremlin. Whether you love or hate the goofy looks, it’s hard to argue with 300bhp in something weighing as much as a Mazda MX-5! American Motors Corporation was a manufacturer known for not being afraid to be a bit different. Sometimes it did alright, like the oh-so-sweet two-seat AMX muscle car. And lest we forget, before Audi and Subaru were dishing out full-time all-wheel drive in the States, AMC gave us the Eagle, arguably the world’s first crossover estate/sport utility vehicle. 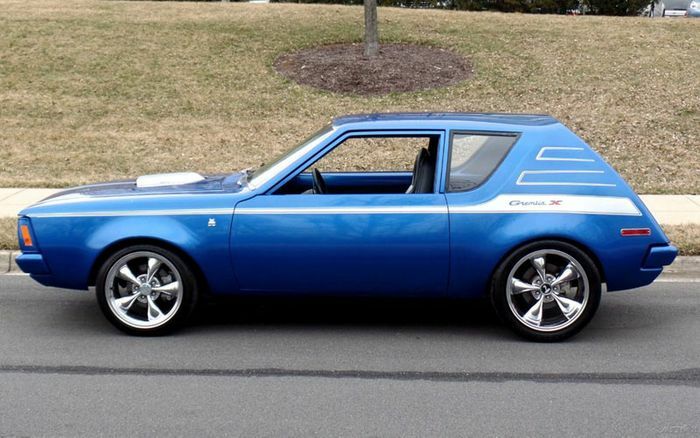 There were also cars like the Pacer, and the subject of this particular WTF eBay find: a 1971 AMC Gremlin currently for sale in Maryland for $22,900. And just when you thought vintage muscle cars couldn’t get any stranger than last week’s front-wheel drive 1968 Oldsmobile Toronado. The Gremlin was never really a muscle car though. Yes, it was rear-wheel drive, but it only ever got a weak 5.0-litre V8 making around 150bhp, and that didn’t even come out until a few years later. The Gremlin’s claim to fame was its styling, which was more polarising than a trip to Antarctica. I have no desire to visit Antarctica, so you can image how I feel about the Gremlin’s looks. 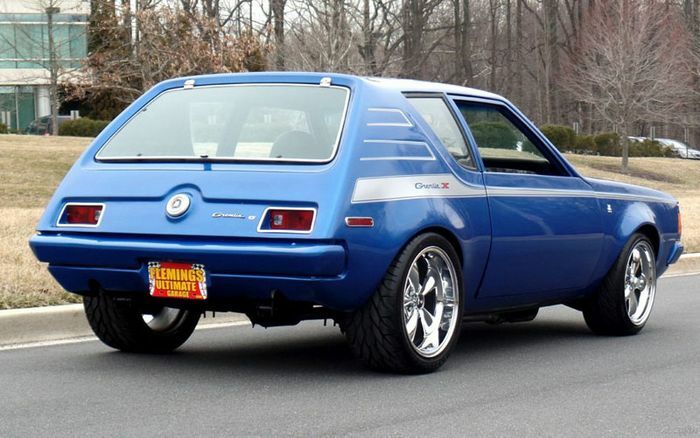 And I’m certainly not alone on that; the Gremlin was AMC’s attempt at a different subcompact car, and though it had some character, there’s a reason it didn’t last beyond 1978. Time can be kind to some cars, however, and I think perhaps the Gremlin is among them. That holds especially true when you see that shaker scoop sticking out of the bonnet, hiding a 5.9-litre AMC V8 that, according to the seller, produces 300bhp. 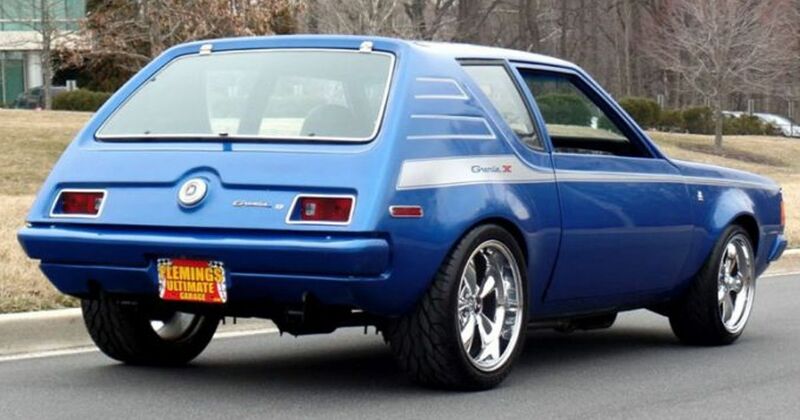 Neither of those were ever Gremlin options, but the Gremlin X appearance package was, and that combined with the wheels and aggressive rubber give this oddly proportioned mini-muscle car some legit street cred. Keep in mind that, despite the long bonnet and squashed rear hatch, the Gremlin was actually about the same size as a Volkswagen Beetle. 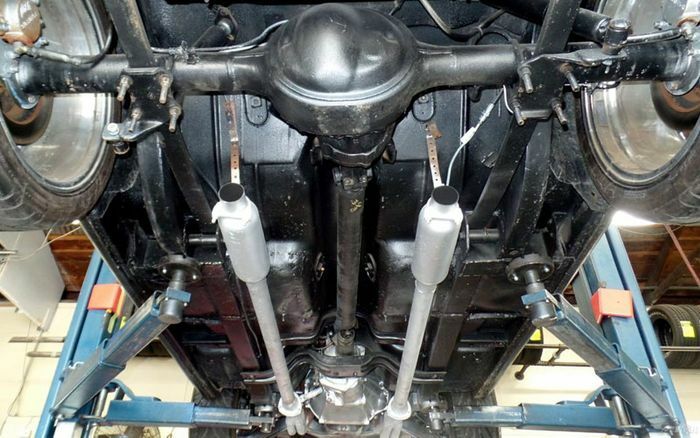 It weighed in around 1200kg, so one can only imagine what double the horsepower would be like in such a vehicle. I’m also a fan of the monochrome treatment with the proper Gremlin X decals and a blazing blue finish. And is there any car from the 1970s that doesn’t look good with a set of Torq Thrust wheels? Add in a four-speed manual driving fat rear tyres, and suddenly the Gremlin’s style grows on me. Perhaps Antarctica could be something of an adventure after all. 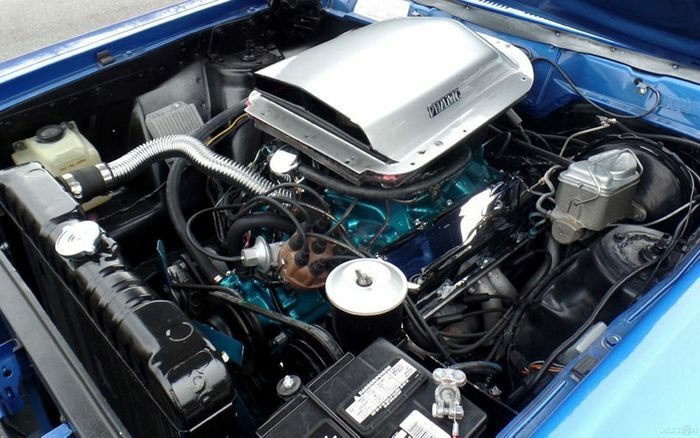 The pictures seem to indicate a very clean and thorough restoration with plenty of factory original bits, and though the 5.9-litre was never offered on the Gremlin, I like that it’s still an AMC engine. 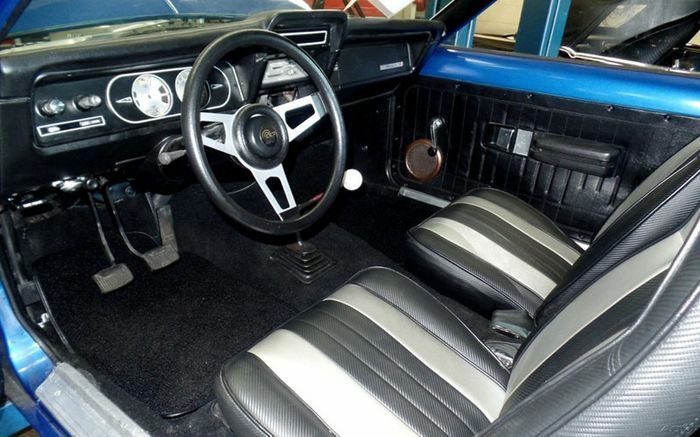 It’s also equipped with four-wheel disc brakes and power steering (something not always available on tiny cars in the early 1970s), so I’d say this is one seriously capable muscle car that definitely stands out from the crowd. And yet, I don’t want to drag race it - I want to autocross the hell out of it. Is that weird? Going prices for Gremlins can literally range from pennies on the dollar to maybe $10,000 or more for nice original examples, so the seller is certainly seeking a premium for this one at $22,900. Then again, I highly doubt you’ll find another Gremlin quite like this, built with AMC parts and not apologising one bit for its love-it-hate-it style. 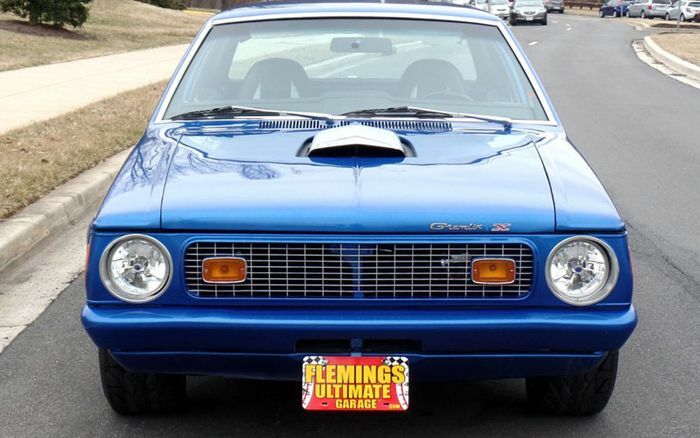 In the grand scheme of muscle car shopping right now, $22,900 is a drop in the bucket - show up with a $20,000 offer and I bet you could have the coolest Gremlin on the block, and perhaps one of the quickest muscle cars in town.